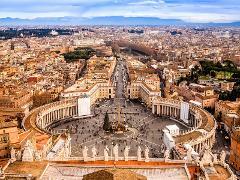 With Skip-the-Line access, this tour explores the Vatican City’s most dazzling art masterpieces—including The Sistine Chapel and St. Peter’s Basilica. 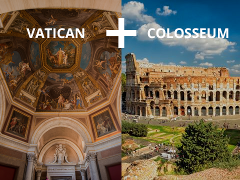 Reserved space and explore the Colosseum and Vatican City’s most dazzling art masterpieces—including The Sistine Chapel and St. Peter’s Basilica. 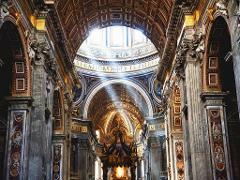 With VIP access, explore the Vatican City’s most dazzling art masterpieces—including The Sistine Chapel and St. Peter’s Basilica. 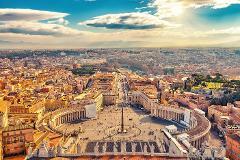 This full day tour combines two guided tours of Rome’s most famous cultural destinations—The Colosseum and the Vatican Museums.